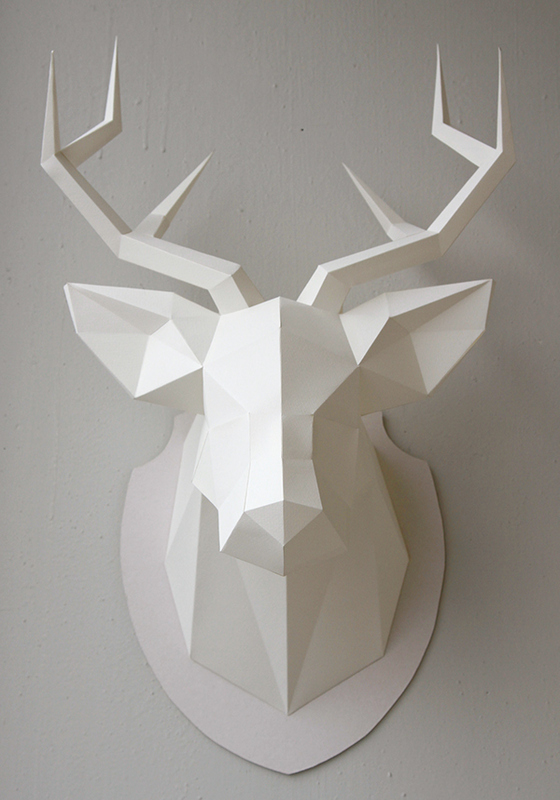 We are constantly featuring paper craft work from people from all over the world and today we want to share with you a incredible project created by Natalya Bublik, Svetlý storý, Alena Nikiforova and Pavel Pogudin. 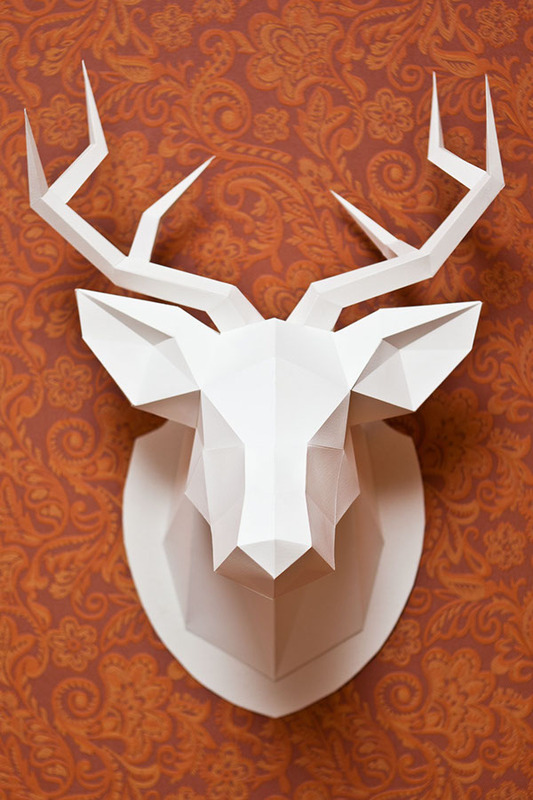 The project is titled "My dear deer" and as you can see by the title, it's a deer made of paper. The result is quite amazing. Besides that one of the coolest thing is that they are selling the manual teaching how to make it, check it out. We have created this wonder work as a gift to the best teacher in the world, who specializes in design for the northern environment. First I made ​​a 3D model, and then transform it into a developed view. I printed it out on paper. 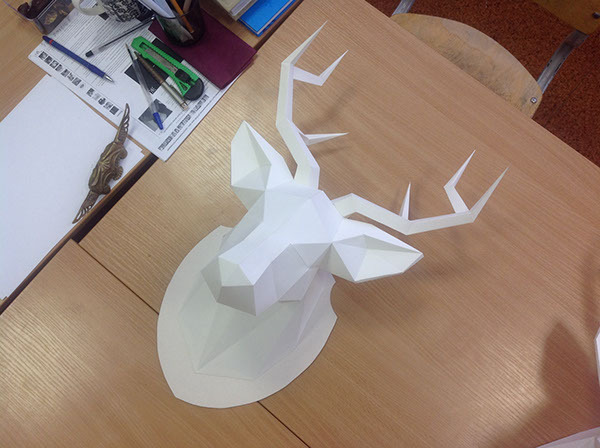 It was not so easy to cut and glue the deer. 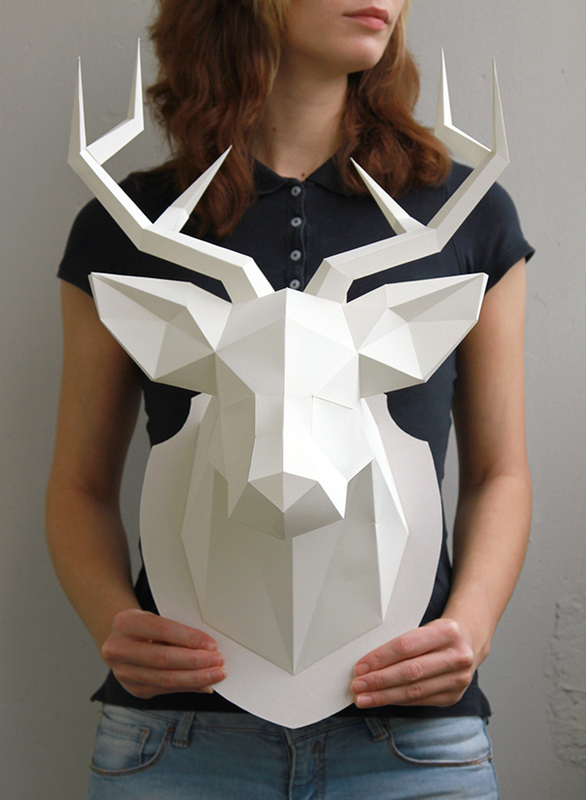 You can't help but enjoy when artists/designers go out of their ways to create and work with their hands. 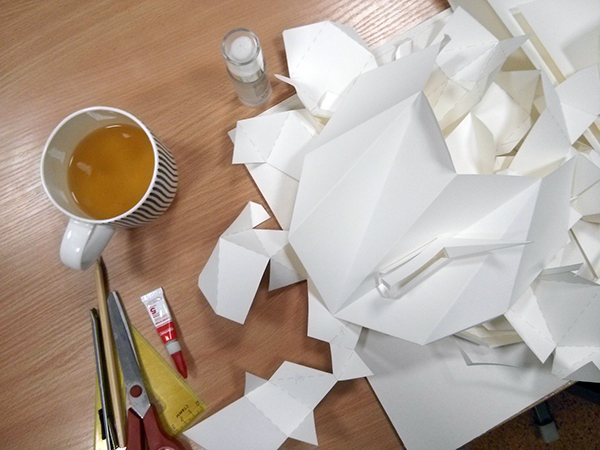 There is this satisfaction and appreciation for their work when patience goes into play in paper craft. The results are just phenomenal.